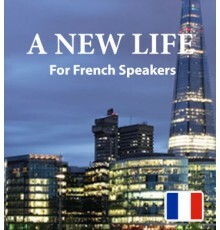 French speakers who would like to learn English will find our series of downloadable books and audio tracks an engaging way to explore the language at their own pace. The Easilang stories are filled with useful, everyday vocabulary, introduced through compelling plotlines. It’s a fun and interesting introduction to English which you can enjoy in your spare time. Our new Easilang app, included in your purchase, makes it even easier to learn by allowing you to bring your books everywhere with you on your phone or tablet. 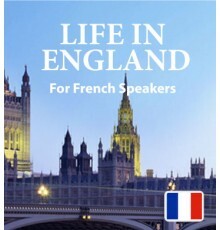 The first Easilang book, “Life in England” is made up of a series of short stories inspired by in..
Our second downloadable book and audio track is called “A New Life”. The story introduces readers..